Patti and Lynne are no strangers to my wall art tile. 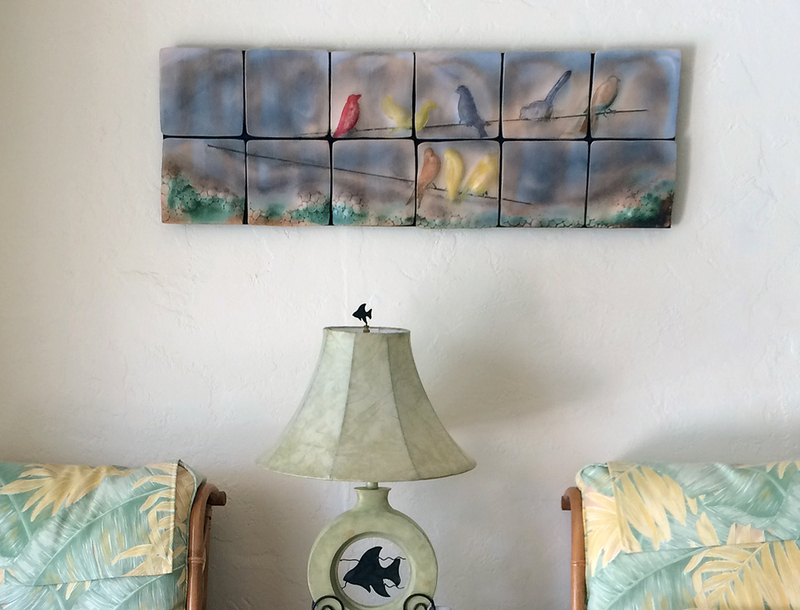 The two collectors first saw my work at the Gasparilla Art Festival in Tampa, FL and commissioned me to create a tile sculpture for their Entry Wall. Now, a full year later, Lynne & Patti have amassed an impressive collection of wall tile & vessels, including this, their latest acquisition Bird on a Wire. Thank you, both for your appreciative eye and fine friendship!